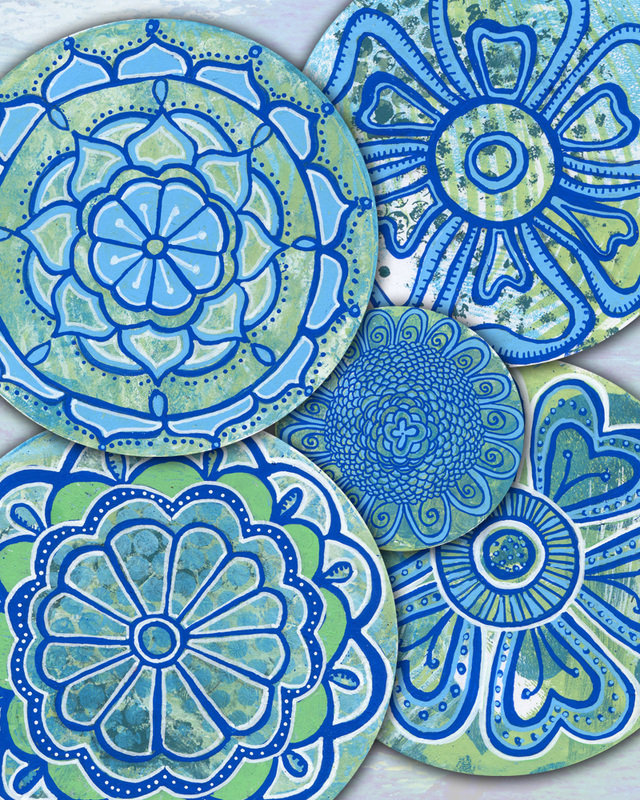 In this week’s Showcase Sunday, I would like to introduce you to Kathryn Costa, and her website 100mandalas.com. She is the author of “The Mandala Guidebook: How to Draw, Paint, and Color Expressive Mandala Art” and the host of the “100 Mandalas Challenge.” I was blessed to meet Kathryn for the first time during one of her annual events called Mandalafest! It was a blast not only learning new things, but also participating in some of the most beautiful live videos she presented! I highly recommend attending her events, you won’t be disappointed! Before you jump over there, I would like for you to read her story and be as blessed as I am to know about her 100 mandala challenge. I started blogging nine years ago and my blogging style has changed a lot over the years. My first blog was named Collage Diva named after my love for cutting and gluing paper to create collages. Those early posts were pretty simple with photos of my current projects and a few little details. Eventually, I connected up with other bloggers who shared my interest in art journaling. With each blog post, I began to develop more confidence as a writer. I found my voice as I shared the challenges of being a single mother. I became and still am so hooked on creating and connecting with people all over the world. The encouragement that I received from my new online friends kept the blog posts coming. Finally, after six years of blogging, I found my focus! I decided to give myself the challenge to create 100 mandalas in 100 days and invite my online friends to join me. 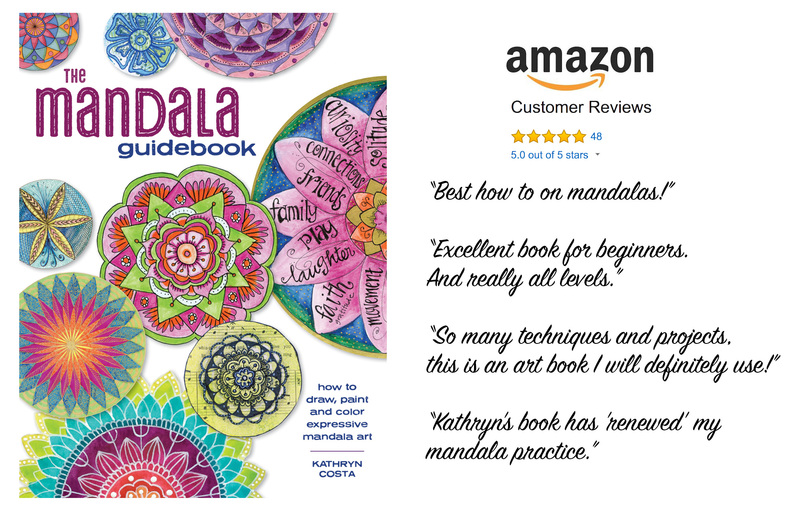 At the time of starting the challenge, I had an idea for a book that would become my first publication called, “The Mandala Guidebook: How to Draw, Paint, and Color Expressive Mandala Art.” I launched a new website dedicated to mandalas. Today, my online presence is focused on creating workshops to teach others how to draw mandalas and on how to interpret the meaning of their mandalas. 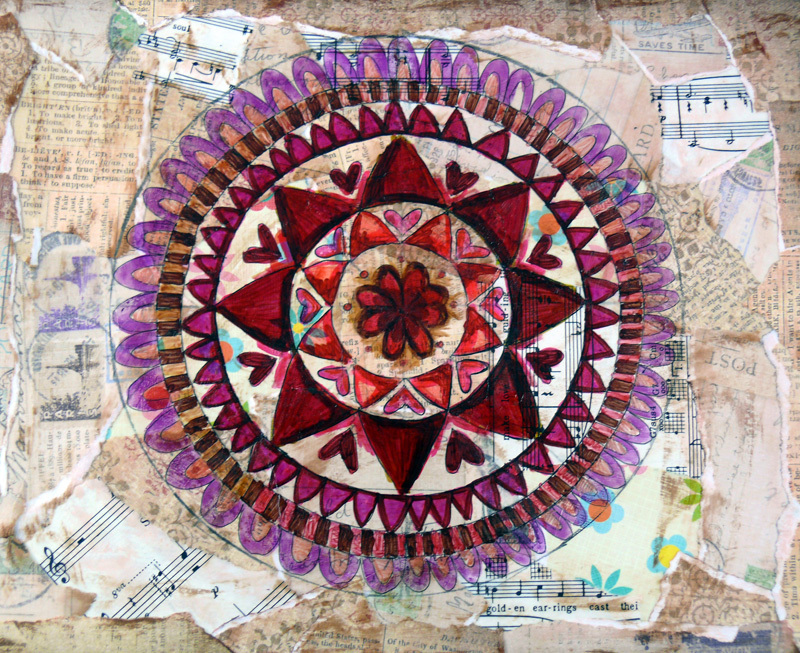 I also host community mandala projects where members of my online community contribute to a group mandala. Working a full-time job to pay the bills has been the biggest challenge as it takes a lot of time and dedication to build a creative business. A day doesn’t go by when I’m not creating a new lesson, working up a video, or promoting my website. It is a ton of work, but I love every minute of it. What inspired you to get into blogging? A friend of mine was blogging and encouraged me to give it a try. My current blog/website is all about mandalas. I completed the Mandala Certificate Program with Susanne Fincher which is focused on creating mandalas for insight and meaning. What was your greatest challenge and how did you learn from it? The greatest challenge is balancing the day job, that pays the bills and keeping up with all of the aspects of running my business. In the last three years, I’ve had a really clear focus, but it has taken the time to build the workshops and promote what I have to offer. I’m learning to be more patient and to trust that I’m on track. When I first started blogging nine years ago, I was following artist Michelle Ward. I love her teaching and artistic style as well as how she engages her audience. My time has really shifted to supporting members of my online community with weekly features, workshop lessons, webinars, etc. Unfortunately, I don’t have as much time for creating blog posts these days. Blogging started as a hobby but has turned into a marketing tool to help me promote my creative business. I’m crazy about creating and connecting with people all over the world. I think of myself as an instigator of creativity. The focus of my work has been teaching others the joys of creating mandalas. I love teaching and seeing students make discoveries and have fun with learning. Ultimate goal? That’s a tough one. I would say to live a creative and happy life and inspire others to do the same. My hope is that I will be remembered for my creativity, teachings, and positive outlook on life. Thank you for showcasing my story Charity. Congratulations again on your new website. It looks great! Thank you for participating in this series. 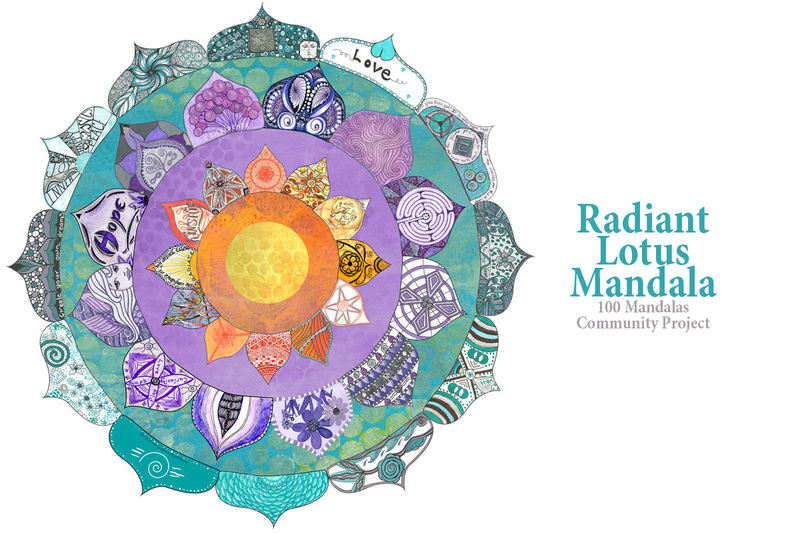 I have seen 100mandalas website before and loved it. It’s really nice to know about Kathryn. Thanks for publishing her interview. It was my pleasure. I have really enjoyed her challenge and I have even incorporated it into my bullet journal.